Kerala Blasters vs Atletico de Kolkata Final Highlight ISL 2017- ISL 2017 had been ended with a lot of memorable match. 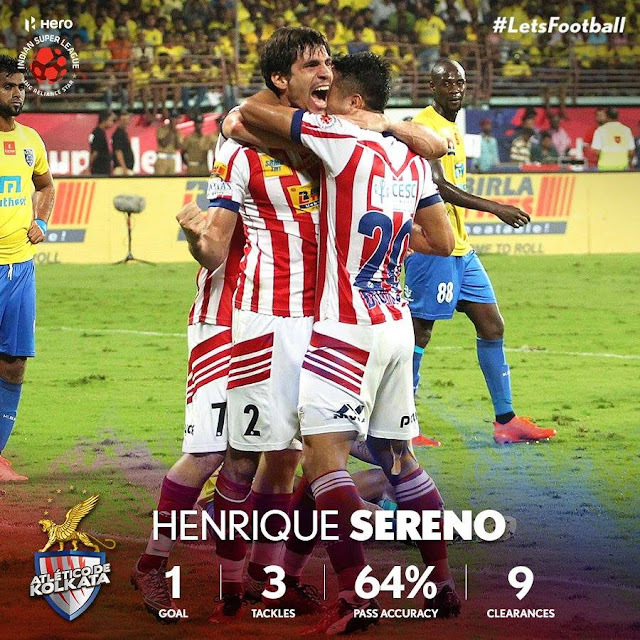 In ISL 2017 final match played Kerala Blasters vs Atletico de Kolkata (ATK). Both Team has played very well in ISL 2017 Final. This match has played in Jawaharlal Nehru Stadium, Kochi. Kerala Blasters vs Atletico de Kolkata (ATK) match has played in Kochi at 7 pm IST (2.30 pm BST, 9.30 am ET). Many channels have telecast as like Star Sports 2, Star Sports HD2, Star Sports 3, Star Sports HD3, Star Gold (Hindi), Asianet Movies (Malayalam), Jalsha Movies (Bengali), Jaya Max (Tamil) and Suvarna TV (Kannada). 19:05 (IST) - KICK-OFF! The ISL 2016 final is now under way! 19:07 (IST) - Kerala Blasters FC won the toss and will attack from left to right. 19:30 (IST)- YELLOW CARD! ATK captain Borja is booked by the referee for showing dissent. 19:44 (IST)- GOAL! Kerala Blasters take the lead as Mohammad Rafi scores through a header. Kerala Blasters 1-0 Atletico de Kolkata. 19:51 (IST)- GOAL! Atletico de Kolkata equalise and it was another goal scored from a header. Kerala Blasters 1-1 Atletico de Kolkata. 19:54 (IST)- HALF-TIME! It's 1-1 after the opening 45 minutes. 20:58 (IST)- It ends 1-1 in the regulation 90 minutes! The match is now headed into extra time! 21:36 (IST)- PENALTIES to decide the ISL 2016 Final! 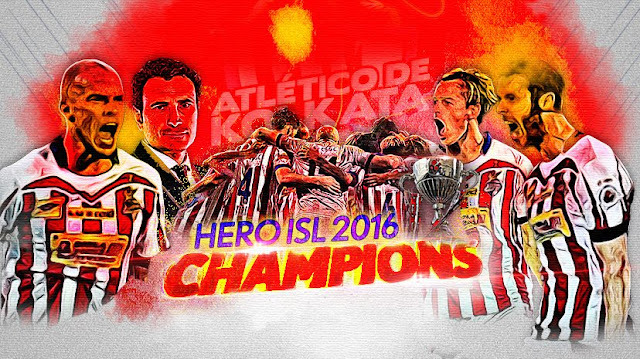 21:47 (IST)- Atletico de Kolkata winner of ISL 2016 trophy.